Successfully Added Haier W718 4 Inch Waterproof Android Phone - 1.3GHz Dual Core CPU, IP67 Waterproof and Dustproof, GPS (White) to your Shopping Cart. 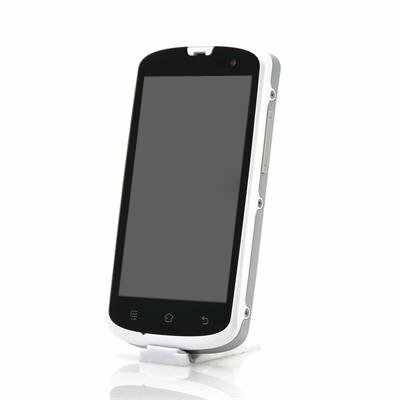 4 Inch Waterproof Android Phone with 1.3GHz Dual Core CPU, IP67 Waterproof and Dustproof, GPS and more. As one of China’s biggest publicly traded and most known white goods manufacturers, Haier dedicated its knowledge and long time experience into the mobile phone field to create a waterproof and dustproof Android phone for the average phone user. Compact, light and easy to use, the W718 is a phone which lends itself perfectly for daily use. Coming with a 1.3GHz Dual Core CPU and a well sized 4 inch screen, you will have the convenience of an Android which is also waterproof. Perfect for those looking for a waterproof phone but don’t want to switch to a fully rugged phone, the Haier W718 offers the exact balance between portability and functionality. Great when camping, out on the lake, or summer times on the beach, the W718 is fully dustproof and can be submerged in water without problem. On top of that, thanks to Android 4.2, the user interface will be extremely intuitive and granting you access to the Google Play store, hundreds of thousands of apps can be downloaded. 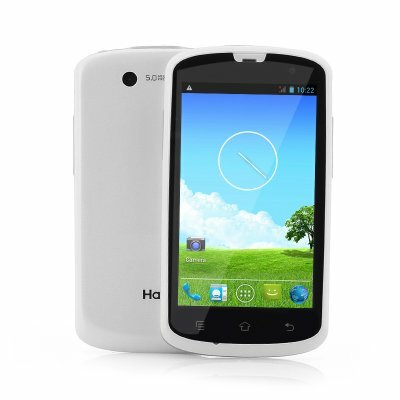 Now in stock, the Haier W718 can be shipped out within one working day and comes with a 12 months warranty. Brought to you by the leader in wholesale Android Phones, Chinavasion.